With so many castles to choose from in North Wales, everyone has their own favorite. It depends on whether you prefer broodingly magnificent ramparts, perched on cliff edges, or snapshots of an ancient lifestyle in well-preserved hilltop fortifications. We’ve taken a look at visitor numbers and general reviews, and listed the top five castles in North Wales you should visit! If you like your castles with “muscle”, then this is for you. Unashamedly robust and proud, this is rightly a World Heritage Site. This structure is the epitome of Welsh heritage and medieval workmanship. Caernarfon Castle is also one of North Wales’ most fascinating landmarks in terms of unique architecture. Look out for its polygonal towers (castles usually have round ones); especially the Eagle Tower. It’s also unusual in its use of banded colored stone in its walls. Caernarfon Castle’s creator was King Edward I in the 13th century. It was the perfect place to situate his army, perched on the River Seiont with the sea close by. That’s not the only royal connection. The current Prince of Wales, HRH Prince Charles, had his investiture here in 1969. Anyone driving into North Wales on the main routes will get an excellent view of this awe-inspiring building, nestled on the hillside looking over Colwyn Bay. Conwy Castle is another legacy of the 13th century and was also built for King Edward I. Widely respected as the perfect example of a castle built in a concentric design, it is also reputed to be one of Wales’ most haunted locations. The first thing you will notice though is its show of military strength. This is one of the finest surviving medieval fortifications in the whole of Britain. Its curtain walls and soaring towers still stand tall and proud. From the battlements of Conwy Castle, you get one of the best views in Wales; an iconic combination of sea and mountains. Towering high above the River Dee, Castell Dinas Bran is a mere remnant of its glory days. However, there is a good reason why it still draws so many visitors and remains one of the best castles in Wales. This rugged and fierce pinnacle sits on a truly breathtaking and memorable site. One of its most striking features is how inhospitable and remote it is, which is possibly why the Welsh Princes of Powys abandoned it within a relatively short time of its construction. However, its location was genius, as Castell Dinas Bran offers spectacular views across the Welsh valleys, sea, and land. Not a castle to visit unless you have sturdy shoes and determination, the climb is undoubtedly worth it. This castle is sewn firmly into the fabric of Welsh history – hence why “Men of Harlech” is the unofficial national anthem. Finished in 1290, the castle was built using the familiar pattern of concentric circles converging in a great hall to keep the household safe. It appears to be defying gravity, with battlements protruding from a near-vertical cliff face. Harlech Castle was also built for King Edward I and employs one of his favored architectural devices – walls within walls. At the time of its construction, a waterway connected it to the sea. Shifts in the landscape mean Harlech Castle now enjoys seascapes in the distance. It has recently acquired a “floating bridge” to make it easier for visitors of all ages and abilities to enjoy its well-preserved features. This is a fortified building created to withstand the full force of medieval sieges, yet it’s still possible to apply the word peaceful to Criccieth Castle. Only the echoes of warfare remain, and what’s left is a harmonious fit with this rugged and fascinating coastline. It also provides glorious views of the curving beaches and lush folds of the North Wales shorelines. This vantage point on the headland is no doubt why Criccieth Castle changed hands so many times. It was much fought-over by both Welsh princes and English monarchs. When you’ve finished soaking up all the rich history and splendors of North Wales castles, you’ll need a hotel in Porthmadog in which to relax. Why Have A Base In The Cotswolds? For many people the idea of owning a holiday property is something of a pipe dream, if however, you find yourself in a position to make your dream a reality and start looking at houses for sale in the Cotswolds then there are several decisions that you will need to make before you can purchase the property of your dreams. The location of your holiday property is probably the most important decision you will have to make, so it is vital that you consider all your options carefully before you make your dream a reality, after all, you want to make sure that there is plenty to draw you back time and time again. Consider what you really want from the area you want to make your base in. Are you interested in nature, history, culture or even good food? It may be that you only have one particular requirement from the area near your holiday home but if you are looking for somewhere that ticks a number of boxes then you may find yourself limited to a smaller number of locations. You want to choose somewhere that you will fall in love with and stay in love with so take your time before you make your final decision. It is here that you will find the 102 miles that make up the Cotswold Way; a walking trail that runs from Bath in the South to the town of Chipping Camden in the North and is the perfect attraction for amateur walkers and keen ramblers alike. And while the Cotswolds might be part of the biggest of all the 38 areas of outstanding natural beauty in England and Wales, its attractions are not limited to just the stunning views and the diverse range of architecture that can be found hiding around every corner. This is an area that really does have it all. If you prefer the hustle and bustle of a vibrant town to the calm and tranquil of the countryside the Cotswolds is bursting with some fantastic market towns that are home to a fantastic selection of small boutique shops. The Town of Cirencester is one such place, in addition to its shops, it is also home to plenty of charming restaurants and bars offering a wide range of cuisines. If urban architecture interests you there are some genuinely stunning facades to take in and of course the church of St John The Baptist which dominates the marketplace. Alternatively, there is Cirencester which is situated right on the edge of the Cotswolds and has plenty to offer to everyone visiting the area. While you certainly won’t find the bright lights and hustle and bustle of the big city in the Cotswolds they do have a brand of charm all of their own that is infectious. The Cotswolds offers the perfect combination of rural scenery with small vibrant towns that are sure to suit almost everyone looking for a base for a holiday home. If you are looking for Cotswold houses then why not visit the area and see what it has to offer, if you have never visited before you are sure to be amazed by the variety that it has to offer. However, you like to spend your leisure time you will find everything you want and more right on your doorstep. So now is the time to start thinking about making that dream holiday home a reality. Pune is the cultural capital of Maharashtra which has a very large population of students due to various academic opportunities here. The nightlife of the city is very lively and it has a vibrant atmosphere. Pune also has lots of tourist points such as hills stations, forts, museums etc. 1. Lonavala: Lonavala is a beautiful hill station at a distance of 67 km from Pune. It situated in the Sahyadri Ranges at the height of 622 m above the sea level and it separates the Konkan Coast and Deccan Plateau. Lonavala is the most famous hill station near Mumbai and Pune and a popular spot for tourists’ visit. Lonavala hill station is spread over 38 square km area. The name of the hill station comes from a Sanskrit word ‘Lonavali,’ meaning is a ‘group of caves,’ and as the name suggests a lot of caves can be found in this area. 2. Rajgad Fort: If you love adventure and trekking then Rajgad fort is your place. This fort is an ancient hill fort which is 54 km away from Pune. Due to its natural beauty and the adventure it offers, this fort is considered one of the top tourist places in Pune which is also famous for trekking in the whole of Maharashtra. Rajgad Fort is situated at a height of 1400 m above the level of the sea. During the rule of ChhatrapatiShivajiMaharaj, this fort served as the capital of the Maratha Empire for 25 years. It is said that this fort was one of Shivaji’s most favourite forts and he stayed most of his time there. 3. Junnar Caves: Junnar Caves are ancient’s rock-cut caves that are located at a distance of 96 km from Pune. These caves are protected by ASI and are a very popular tourist spot. Largest and longest cave excavation in India is in Junnar, so if you like to explore caves then Junnar is your place. The number of independent excavations taken in Junnar is 200 and they are spread over four hills. 4. Panshet Dam: Panshet Dam which is also called TanajiSagar Dam is located at a distance of 45 km from Pune. This Dam is one of the most popular places for tourists to visit. In 1950 the Panshet Dam was constructed with the purpose of irrigation and now it supplies water for drinking to Pune. The Dam is situated in the mountain range of Sahyadri and is surrounded by beautiful green scenery and numerous waterfalls. This place is a major picnic and trekking spot with various water sports available. A large number of tourists throng the Panshet Dam or TanajiSagar Dam when they are in Pune. The state of Maharashtra, located in the Deccan part of the country is the birthplace to many great warriors and freedom fighters. There are also different interesting regions and locations where tourists can plan their vacations and spend their holiday with their family and friends. This is one place where locals are known to visit during their holidays. As a matter of fact, being a hilly place surrounded by lush greenery and numerous interesting points to visit, tourists visiting Mumbai, do make it a point to visit Lonavla to enjoy its mesmerizing beauty and charm. There are indeed several places of interest here that should not be missed out during the trip. Duke’s Nose: It is really an amazing landmark which is sure to strike the eyes upon reaching the hilly region of Lonavala. The Duke’s nose structure is actually a large monolithic rock structure that pierces foggy clouds having a peculiar shape. The peak in local language is known as Nagphani, which means ‘Snake’s hood’. Maval, Takve Lake: This site boasts of being having the most significant activities in Maharashtra’s history. It is also the place, where Chattrapati Shivaji, the greatest Marathi warrior is known to have trained his army known as the Malvas to fight the mighty Mughals. Lake Takve offers amazing opportunity to the tourists to engage themselves in various types of water sports and other water adventure sports. Durshet: This region is located on the laps of Sahyadri range. It has been a popular weekend getaway among the locals. It is enclosed with lush green forests. There are several activities that can be undertaken during the trip. Pawna Dam: This place is located close to Lohagad, and is among the astonishing places to visit. Established on the river Pavna, this region is regarded to be a significant development with regards to agricultural produce. It is indeed the perfect place to have sheer pleasure without the hustle and bustle of the crowded city life. Ghangad – Tailbaila: It is a fort that is located amidst the Sahyadris. A lovely stream named Mulshi flows in this region. Located within Tamhini Ghat’s heart, the path towards the fort is quite simple. Two huge rocks gaps are present on the way to the post. Tailbaila is regarded to be a monolithic structure that has the shape of a cobra head. Rajmachi: This fort is regarded to be among the loveliest of all treks in entire Maharashtra and hence, visited by trekkers during different times of the year. It is also stated to be the real delight and pride of Sahyadri ranges. It is surrounded by unmatched, charming natural beauty. The green tenable slopes leading to the forts do provide the tourist with the opportunity to explore nature at its very best. Koraigad: It is still regarded to be a place that is left untouched by modernity and hence, is an offbeat place, offering a trek that is of world class. It does have a fabulous surrounding. A well-planned trip to Lonavla Khandala (https://www.waytoindia.com/lonavala-khandala-tour-package) can be really interesting. What Is The Cheapest Way to Convert Currency In Australia? Converting currencies can be a daunting task because finding the best exchange rate to avoiding hidden fees made the process complex. There are several considerations when it comes to converting currencies in Australia or transferring money to and from Australia. The poor exchange rate and high hidden fees might get you ripped off. That’s why it is important to know about the Australian currency and it’s banking systems so you have a clear idea that which is the best and cheapest way to convert currency in Australia. This article highlights the different methods and their fees that will surely help you in understating the hidden fees and how you can avoid them. There are multiple options for converting currency including using credit card for making purchases in Australia, Exchanging cash or buying travel money at the airport, withdrawing money from ATMs in Australia (popular travel and debit cards are widely accepted in Australia), exchanging cash in Australian Bank, ordering foreign currency online and using specialist money changer. Usually, the banks or companies charge 3% conversion fees on every cash withdrawal using cards. Exchanging money at the airport offers the worst exchange rate and high hidden fees. Australian banks also have high hidden charges that’s why converting currencies using banks is also not a good option in Australia. This is why it is suggested to avoid exchanging money at airport exchange terminals and in Australian Banks. Most of the experts suggest buying currency in the foreign currency because there are more chances of getting the best exchange rate. But exchanging currency at Australian airports or using Australian Banks is not a good option. Buying Travel Money Online: one of the best ways is to buy currency online in Australia. It is better and cheaper way than exchanging cash at the airport who rip you off with crazy hidden fees. Search a good company offering online services for the best currency exchange in Melbourne. Remember that it is a good option if you buy some certain amount. Exchanging Cash using specialist Money Changer: Another cheapest way to exchange currency in Australia is by using the specialist money changer. The biggest advantage is their exchange rates are not fixed like banks and you can even bargain a rate to get the best possible deal on travel money. An exchange rate is a major consideration when it comes to currency conversions or money transfer. Many travelers do not pay attention to the exchange rate movements and lost their hard earned dollars. That’s why it matters a lot that what exchange rate you’re getting and where you’re exchanging money in Australia. Avoid currency exchange at the currency exchange bureaus at the airport kiosks and popular tourist destinations in Australia. It is always better to compare the exchange rate offered by the different companies and banks and then choose the one offering the best exchange rate. Most importantly, find out the hidden fees whatever method you’ll use. Because the high hidden charges will ruin your travel budget. A visit to Solang valley tops the list when it comes to Manali tour packages. Situated at the top of Kullu valley, 14 km northwest of Manali on the way to Rohtang Pass, Solang valley is best known for its alluring landscapes, lush greenery, summer and winter sports. The valley is one of the favourites among the adventure enthusiasts. Skiing to paragliding or horse riding to jeep safari, Solang valley has something for every taste. The valley gets totally covered with snow during the winters making the place a perfect destination for skiing. You will find plenty of training institutes and personal trainers who help train the beginners and supervise skiers. Paragliding is certainly the most popular adventurous activity here. If you are planning to visit Solang valley from January to May or October to December, then the time between 9 AM to 5 PM is the time allotted for paragliding. The cost of this activity varies from INR 600-1800. Owing to the unfavourable weather conditions, paragliding is shut down during the monsoon season. As the snow starts melting, skiing is replaced by zorbing. People often take the advantage of the slopes found in the valley. During summers, you may spot a huge transparent ball with people inside (mostly two) while it is rolling down the slope. Zorbing will cost you around INR 500 per person. Horse riding and fancy photography are other leisure activities. Moreover, overhead cable car rides are also available, which gives you an alluring view of the entire valley. The best thing about Solang valley is it can engage visitors in all seasons. Therefore, your trip should depend on the purpose of your visit. If you are more excited about watching snowfall and enjoying winter games, then the period between November and February is the perfect time. While the mornings and evenings continue to be cold, the afternoons during the summer are mildly hot. You need to reach Manali first in order to get to the Solang valley. The nearest airport is Kullu’s Bhuntar airport (63 km from Solang valley). The Himachal Road Transport Corporation runs regular bus services from neighbouring states including Delhi, Punjab, and Haryana. NH21 connects Kullu and Manali to the north India via Chandigarh. The highway with river Beas flowing on one of its sides has plenty of cafes and restaurants for the tourists. You can visit Solang valley solo or as a part of various Manali tour packages. Try the local traditional attires and pose for pictures with furry rabbits, yaks, and cobras. If you are planning to go for a solo trip to Solang valley, a 2-3 days stay would be enough to witness the scenic beauty, indulge in some adventurous activities, and enjoy a day out with your family and friends. 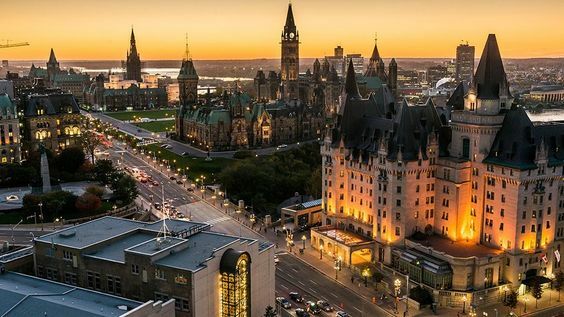 Planning a move to or from Ottawa requires proper planning and preparation to ensure the moving process goes as smoothly as possible and is free from anxiety. Implementing a few tips to prepare for an upcoming move near Ottawa is highly recommended to reduce stress while moving and for arriving in a new location with all of your belongings for a reasonable price. If you’re moving from Ottawa to Toronto, you should research the best Toronto movers and the services they offer – you may end up getting a better rate than if you hire the first company in Ottawa that you see listed. One of the most important factors to remember when planning a move is keeping a packing list. Not only is it imperative to label each of the boxes you packed with an inventory, it is also advisable to keep a written packing list to assist with organizing your boxes and where items belong in your new home once you arrive. Pack with caution and be sure to utilize packing materials ranging from duct tape and bubble wrap to foam inserts for valuables and fragile items or collectibles. Label any fragile boxes with “Caution” or “Fragile” in bold letters so movers who are helping you do not cause irreparable damage to your belongings. Hiring a professional moving company helps to save time when moving your items to a new location. A team of professionals is capable of lifting the heavy furniture, allowing you to focus on other aspects of moving into a new home, condo or apartment. Reduce the amount of physical labor required during the move with the assistance of a professional moving company. 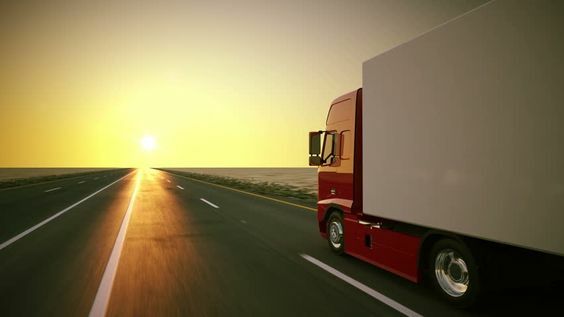 With a moving company to assist you through the process, set a date and time to begin moving so that you’ll have time to prepare adequately and ensure you have everything you need before you begin your trip. When you are searching for the right moving company for you and your family, be sure to read both online and local reviews wherever possible to find the companies with the best reputation near you. Check the BBB rating of moving companies you are interested in along with whether or not they are members of North American Van Lines. Researching each local company near you prior to making your selection is another way to feel re-assured that the professionals you choose are up to the task. Be sure to verify that the moving company you want to use is insured, especially when you require help with moving larger furniture such as beds, dressers, and appliances. Taking the time to prepare for an upcoming move while hiring a professional moving company is a surefire way to eliminate stress while making your move much easier altogether. With the right professional moving company, moving your entire family and household has never been easier – regardless of the amount of items you have packed and plan to take with you. Getting a luxurious and top-rate rental accommodation is definitely one among the major worries for anyone going for vacations. It is equally true for all the places across globe including Lake Windermere. Most people remain worried about getting an apt accommodation during their vacations. However, hotels in Windermere offer a totally luxurious and comfy stay to their clients. They do so by keeping their clients satisfied in all the manners possible. Let us now see how this task is accomplished by the hotel owners in Windermere. Almost all the hotels in Windermere make available some of the best rooms to their clients. They provide spacious and well-ventilated rooms to the guests. It is done so that their clients may remain satisfied. Also it helps them in accommodating all the people accompanying them and the stuff being carried by them in the rooms provided by the relevant hotel owners. There is good provision of all types of facilities for the clients visiting hotels in Windermere. The room services are the best in the associated industry. Also all the things of routine use plus all the gadgets and equipments are provided to the customers. It helps in offering them a totally homely feeling. It is yet another good way by which hotels on Lake Windermere prove to be greatly comfortable and luxurious for the concerned customers. All the staff members are responsible and apt in fulfilment of their duties in a satisfactory manner. They cater to all the needs of the customers so that their clients may always remain content. Apart from the facilities inside the hotel rooms, the relevant hotel owners also take care of needs outside the hotel. As an instance, proper arrangement for parking space of the vehicles of the customers is done by the concerned hotels. It helps in assuring safety of the vehicles of the clients during their stay in the hotels. To offer a totally relaxed and luxurious stay to the customers in any of the hotels on Lake Windermere, the relevant hotel owners also provide additional facilities. They can make arrangement for the special facilities, if so required. They can arrange for extra beds inside the same room upon request of the customers. Also they can make arrangement for meals and snacks inside the rooms itself. In some hotels, there is also the facility of indoor games and other sports so that clients may remain occupied during unfavourable weather conditions. It helps them to spend their time in a fun-filled manner. Last but not the least all the hotels charge reasonably from their clients in lieu of services offered by them. It implies customers may keep enjoying all the facilities, luxuries and amenities by paying just reasonable and easily affordable amount of money. Again it goes in favour of the customers as they may stay comfortably and in a luxurious manner without the need to overspend. Hotels present on Lake Windermere make their best efforts to provide all the facilities and luxuries to their customers. It is really an amazing and unique experience to spend vacations therein.